Made of a super-soft and comfortable ringspun cotton, this shirt features PELAGIC FISHING CO text, a frigate bird silhouette and custom sportfisher graphic with International Charters text below. 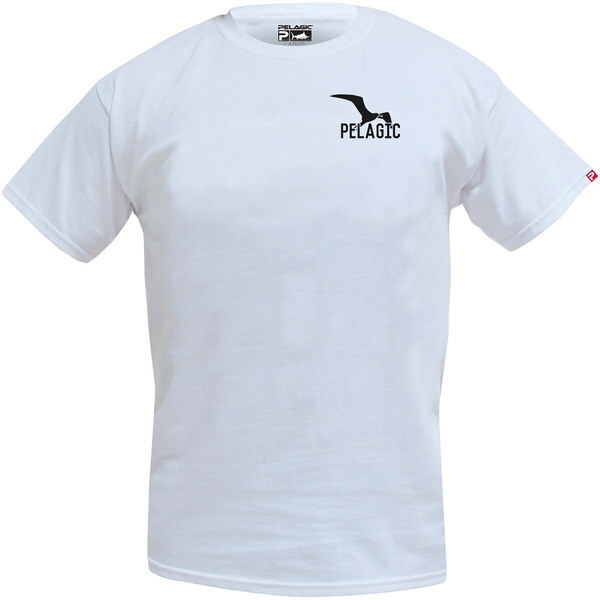 A tern bird silhouette and PELAGIC text is featured on the front left chest. Imported.